Castor oil is an amazing vegetable oil which helps in our day to day life. It is present in the pale yellow color with a distinctive flavor. Its source is a natural plant called Ricinus Communis (Castor Plant). You may not know that castor oil is available in three different types. They are hydrogenated castor oil, organic castor oil and Jamaican black castor oil. Here we are presenting the benefits of the castor oil for health, skin and hair. Castor oil is popularly known as ‘Arandi Kaa Tel’ in Hindi, ‘Aamudamu’ in Telugu, ‘Erandela Tela‘ in Marathi, ‘Amanakku Enney‘ in Tamil, ‘Avanakkenna‘ in Malayalam, and ‘Rerira Tela’ in Bengali. Castor oil is world famous for its anti-inflammatory and antibacterial properties. This oil is used in many cosmetics, soaps, textiles, massage oils, and even medicines, because of its benefits for your skin, hair, and health. Castor oil is also termed as warm oil as it promotes the circulation of fluids in the body. Old people, who suffer from soreness should massage this oil in the aching place to get relief from muscle soreness. To make this massage more relaxing you can add a few drops of Roman chamomile oil or peppermint oil to a tablespoon of castor oil. Castor oil is known to be good carrier oil for essential oils. The best way to soften cracked heels is to apply plenty of castor oil and rub it into the cracked heels before bed and cover them with a pair of socks. This heals the cracked heels by supplying the required amount of moisturizer adding softness. The undecylenic acid present in this acid is effective to treat fungal infections such as ring worms, athlete’s foot and crotch itch. Apply warm castor oil on the affected area and just leave it overnight for better results. Repeat this remedy for a week to see significant improvement. Continue to use this remedy until the infection is completely gone. Thickened areas on the feet are termed as corn and calluses. It can be treated by directly applying castor oil on the affected area. It removes the pain and the swelling caused by corns. The ricinoleic acid present in the castor oil plays a major role in treating the lymph vessels. This gives a relief from the joint pains. To get relief from joint pain caused by arthritis, take a piece of cloth and soak it in some castor oil. Now squeeze out the excess oil from the cloth and place it on the affected joint. Use a plastic wrap to keep the cloth in place. Keep a hot water bottle or heating pad on. Leave the hot water bottle on your back for an hour. Many people suffer from deprived sleep which leaves side effects. For an ideal sleep, apply castor oil on hair and rub it around the eyes. You can rub oil on the eyelids before bed and make sure the oil does not go into your eyes. This is an amazing home remedy for people whose biological clock has gone haywire. Science doesn’t have any answer exactly how castor oil induces sleep, but for ages people who have used it on their hair or around the eyes vouch for its effectiveness. It is common remedy for constipation which has been used for many years. It works as a laxative and helps to recover from the constipation problem. Castor oil contains, ricinoleic acid which induces laxation. Hence, for ages consuming castor oil has been used as a home remedy to treat constipation. 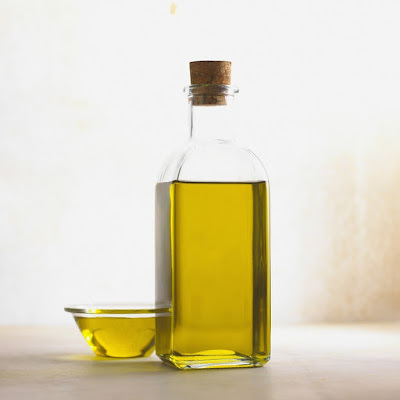 Castor oil reduces the level of toxins in the stomach and improves digestion. It solves the abdominal problems such as cramps, gas, nausea and vomiting. When used topically it boosts the defense mechanisms in the body and the antibodies fight against the toxins and pathogens. This results in the promotion of good health. When you use Castor oil topically it increases the number of T-11 cells, which signals a boosts immunity in the body. The T-11 cells present in the body form antibodies that fight against pathogens and toxins, which promotes good health. Back Ache is the common problem found in all age groups. Massaging castor oil on your back is a natural remedy to get rid of stiffness and pain. To use this home remedy all you need to do is apply castor oil topically on the areas where you are experiencing pain in your back. To quicken the process you can ask someone to cover the painful area with a clean and soft cloth. Now place a hot water bag on the painful area of the back for an hour. This method helps the castor oil to permeate the inflamed tissues. To get complete relief from back ache repeat the process for three subsequent days. Using castor oil pack for back pain is one of the easiest and safest home remedy. Castor oil is loaded with antimicrobial properties that make it very beneficial in treating minor cuts and scratches. It also has anti-inflammatory properties which helps to relieve the pain.